Looking for a summer filled with arts and crafts, sports, friendships, and field trips? Then Hawks’ Haven Day Camp is the place for you! Offered from 8:45AM to 3:45PM – with wraparound care from 7:15AM to 6:00PM each day – meet new friends and reconnect with old pals in a fun, hands-on learning environment. At Hawks’ Haven, campers spend their summer in grade level color groups. Each color group offers unique outdoor games, arts and crafts, scavenger hunts, academic retention games, and a variety of team building activities. 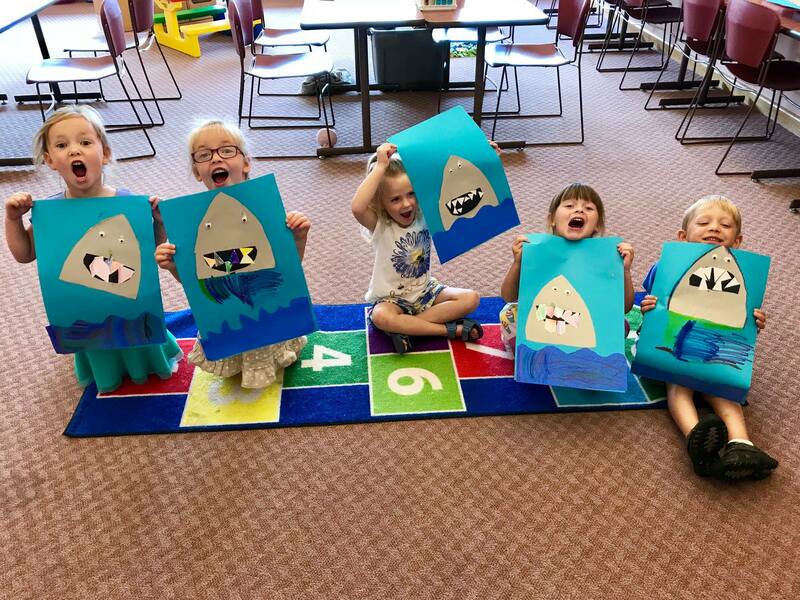 Color groups gather throughout the week to solve mysteries, create tasty treats, embark on adventurous field trips, explore the good old days, and have some water fun in the sun! *Hawks’ Haven is closed July 1st-5th in observance of the Independence Day holiday weekend. Liftoff and Landing are new one-week programs that will precede and follow this summer’s Hawks’ Haven Day Camp. Designed to offer additional options beyond our normal camp dates, these one-week sessions afford campers the chance to usher in – and say goodbye to – the exciting, carefree days of summer. Early School through 2nd Grade campers will begin their day in the Primary School Library, and 3rd Grade through Middle School Campers will start in the Student Research Center (SRC). Whether your child is a seasoned Hawks’ Haven pro, or you’re interested in attending Liftoff or Landing to see what summers at Prairie are like, you can expect a week’s worth of adventure and fun that won’t soon be forgotten. Hawks’ Haven Liftoff (June 10th-14th) A great introductory period for new and experienced campers alike — before you know it, everyone will be ready to dive (and jump and run and crawl and cartwheel) into Hawks’ Haven Day Camp! Hawks’ Haven Landing (August 5th-9th) Our attempt at an endless summer — this final week of camp is a celebration for any camper that needs just ONE MORE WEEK of fun! Can’t make the daily drive to Prairie for Hawks’ Haven Day Camp? Not a problem! A brand-new bussing option is available for those living in Southern Milwaukee county. Simply register for Hawks’ Haven Day camp and add the Southern Milwaukee County Bussing option to your cart. We will arrange your pick-up location by May 10th, 2019. You will arrive at Hawks’ Haven at approximately 8:45AM and depart at approximately 3:45PM. *Minimum of 15 students required by April 15th, 2019 or the bus will be cancelled. In the event the bus is cancelled, full refunds will be issued to those enrolled in the bussing program. Hawks’ Haven Day Camp heads off campus once a week for a fun-filled adventure! Hawks’ Haven Day Camp participants are escorted to and from all on-campus workshops and sport camps (field trips may conflict).